The Shannara Chronicles is actively looking for a new network home after a two-season run at Viacom — one season on MTV and one on Spike. 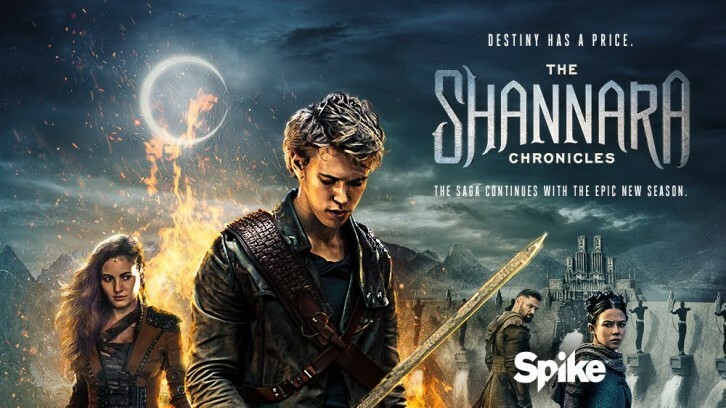 Even before word got out today that Spike — soon to become Paramount Network — has cancelled the fantasy series, The Shannara Chronicles studio, Sonar, and producers had already started conversations with prospective buyers. The Shannara Chronicles, which is based on the best-selling fantasy books by Terry Brooks, streams on Netflix in the U.S. and some international markets, so the SVOD giant could be a suitable home, as would be rival Amazon, which is on the hunt for epic phantasy series and whose online retail giant parent company sells books. I hear that the feature, interactive (VR and AR) and merchandising rights to The Shannara Chronicles also are being included in the conversations for the TV series currently held with networks and streaming services. Thanks to Dillan for the heads up. The future of The Shannara Chronicles is not looking so good. The fantasy series won't be making the jump from Spike to the soon-to-be-launched Paramount Network, network president Kevin Kay told TV Guide, essentially leaving it homeless for the time being. "We have officially passed on making any more," Kay told TV Guide. "Maybe [Sonar Entertainment] is going to take it somewhere else. For us, we passed on the future of that."